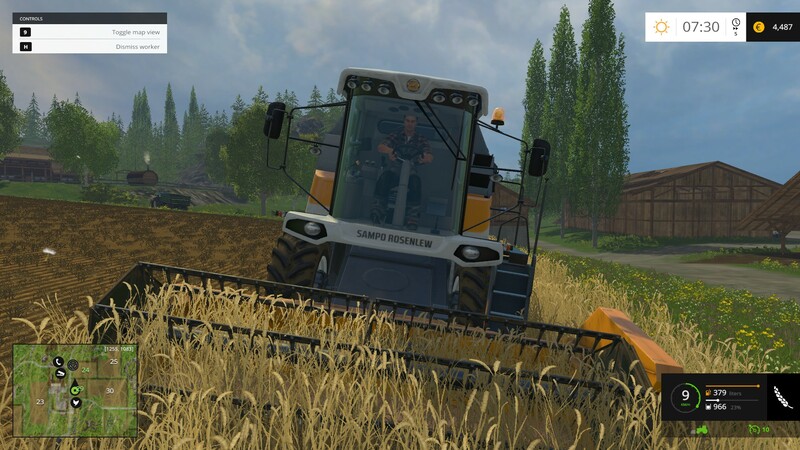 So how exactly do you review a game like Farming Simulator 15? It’s tough because, let’s be honest, it’s not a game in the traditional sense. 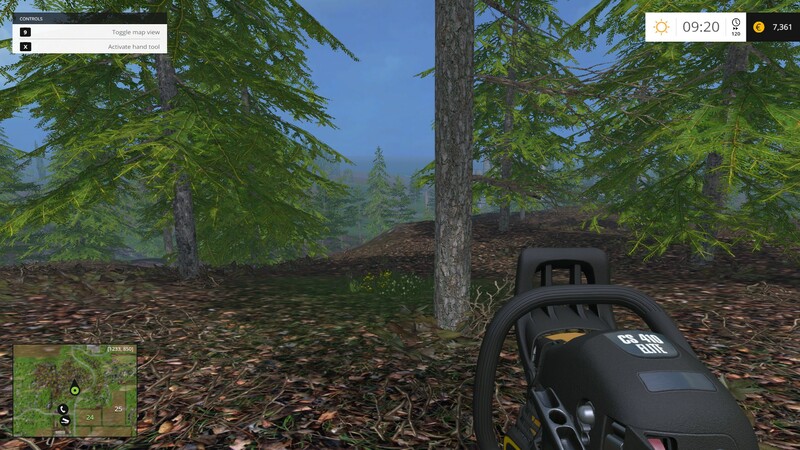 There is no ground breaking gameplay, no storyline nor is there expansive sandbox freedom. 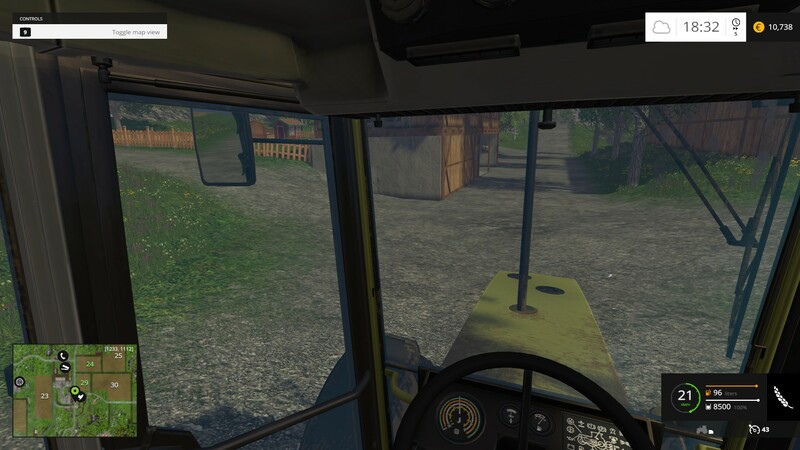 In fact, a game like Farming Simulator is strangely claustrophobic, locking you into a small box from which you cannot escape. In some ways, it’s like the Elder Scrolls games that possess no actual depth to their content – only that Morrowind, Oblivion and Skyrim overshadowed that fact by providing a large world that, albeit being less than knee-deep, was swamped in content. 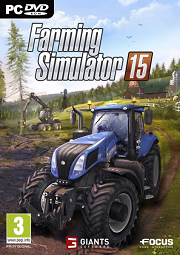 Farming Simulator doesn’t. It’s devoid of any obvious character and offers little engagement. Yet, it is oddly charming and enticing. 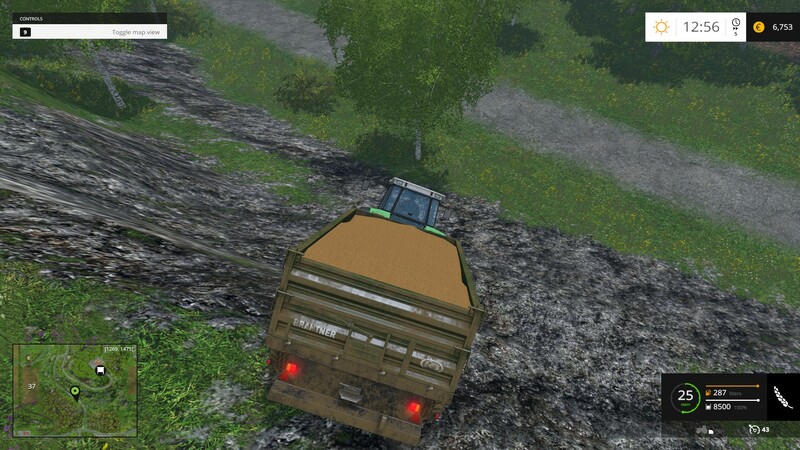 Farming Simulator is somewhat of a joke to some. Yet, since this year’s iteration has been released, YouTube is full of content. 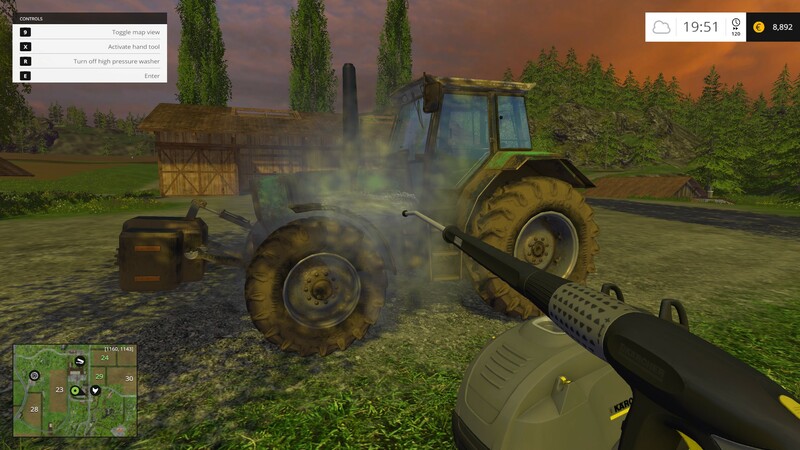 Even big time YouTubers famed for their FPS or RPG content have taken to the farms. What some might have seen as a quick, quirky cash grab, has resulted in a strong, open-ended series that is often well liked by its followers. Likewise, the idea itself—playing farmer—seems preposterous bordering on the ridiculous. So how is it that even though we often smirk at the idea, the game enjoys so much success? 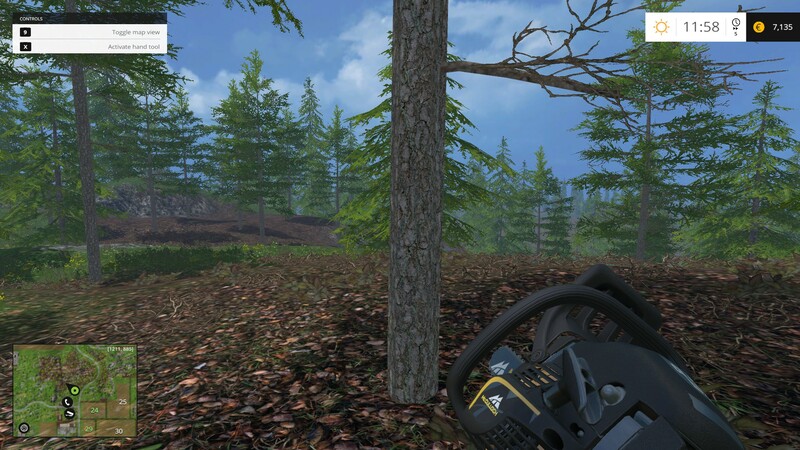 The simple fact is that, while Farming Simulator is monotonous, it touts a familiar purpose in an alternate reality that inspires our sub-consciousness. 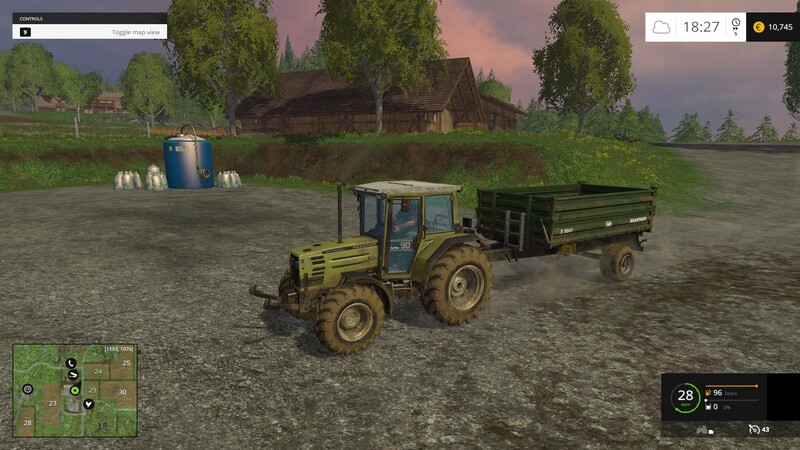 The world of Farming Simulator reminds us of our own, it’s monotonous, has no obvious end goal and progresses at the same merciless pace as we are used to. 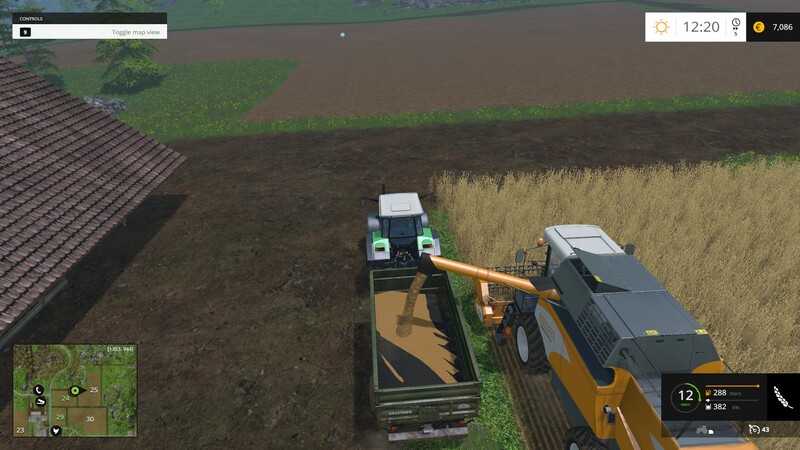 Only, instead of having to deal with some of the real life issues (although in the game you have to clean your equipment now ...), Farming Simulator gives us an alternate reality in which we can live a life without having to go through the hassle of actually living. It does so beautifully, with a setting that mirrors real life. Work to make money, spend money to buy new stuff, rinse and repeat. It’s this basic formula that makes the game. As romantic as life on a farm might be to some, it’s obviously not. 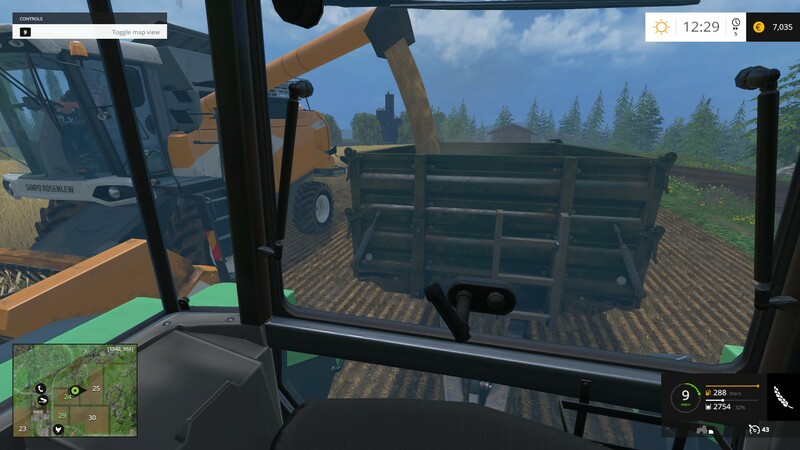 But Farming Simulator makes it easy for us to immerse ourselves into an alternate reality, think economically, make business decisions and pretend that we are living the life of a real farming entrepreneur. It’s all a gigantic ruse, but it appeals to fool quite a few people, including me. Now, it’s not for everyone. Not by a long shot. In fact, I bet quite a few people buy it and never play it again after dabbling in it for a few hours. To ‘enjoy’ the game, the player has to give something, that is, make up his own story and purpose. 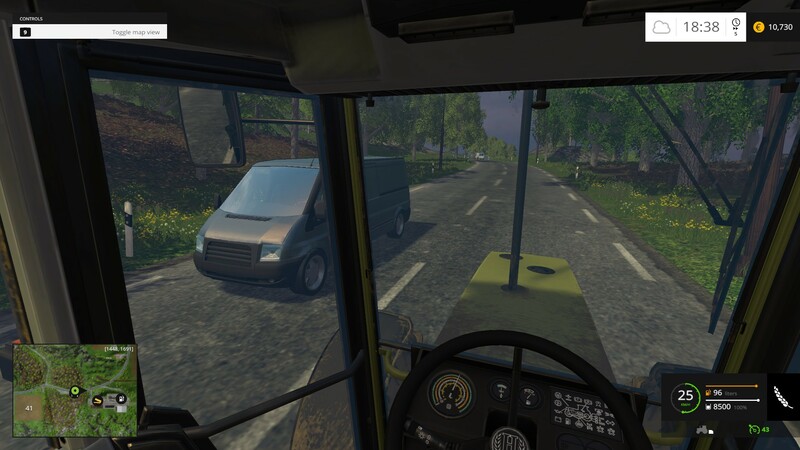 In the age of Call of Duty and instant gratification, this farming life might be too ‘boring’, but those who continue to play—and there are many—enjoy it. 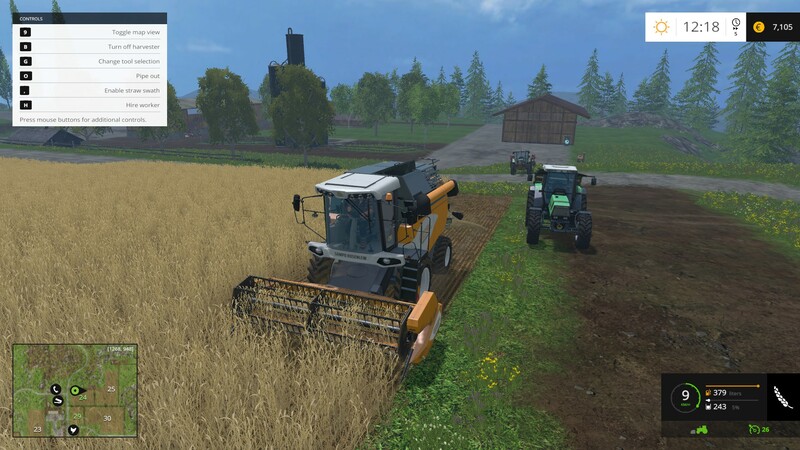 The fact that you can share a farm online and work on it with your friends adds to the appeal of the game. It’s approachable, firmly based upon a believable setting and serves as a fantastical extension of real life. Sure, the game never offers a big, memorable moment. 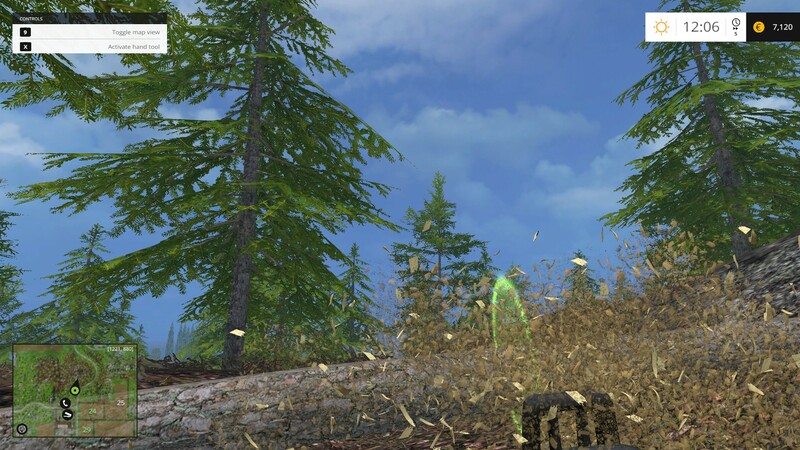 You’ll never remember that one special occasion in your combine as you blaze over the fields of gold because there is no such special occasion. You farm, that’s it. At the same time, the game is neither pretty enough to give you moments of awe in which you splendor at natures glory, nor is it ugly enough to detract from the gameplay. Indeed, other than the occasional chuckle as the basic physics engine lets you enjoy some rather peculiar moments, the game will fail to impress you, positively or negatively. 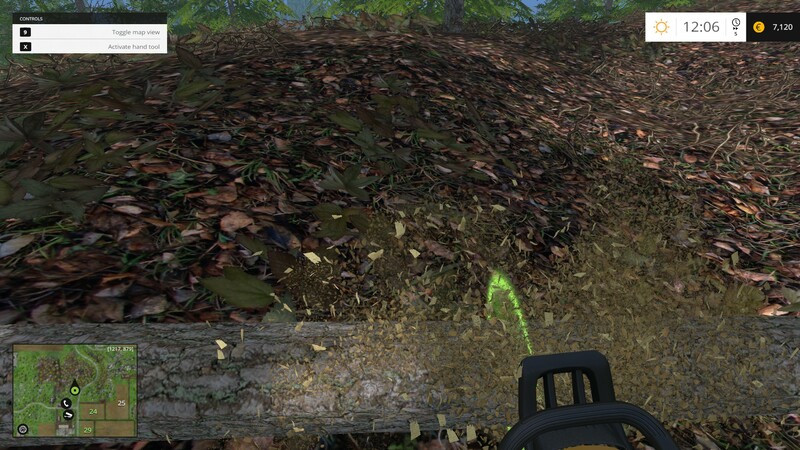 This extends to those parts of the game that are new in Farming Simulator 15. Overall, there is little innovation. 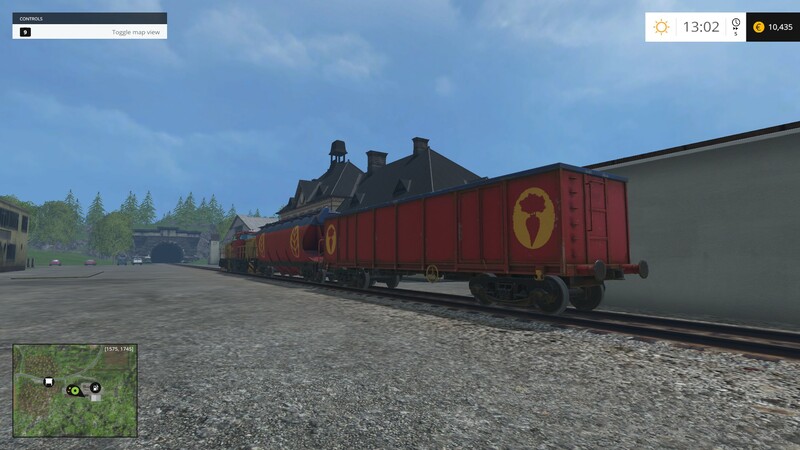 In many ways, Farm Sim 15 feels like Farm Sim 13. On top of that, overall mod support and accessibility is still not as it could be, which, truth be told, is a bit of a bummer. 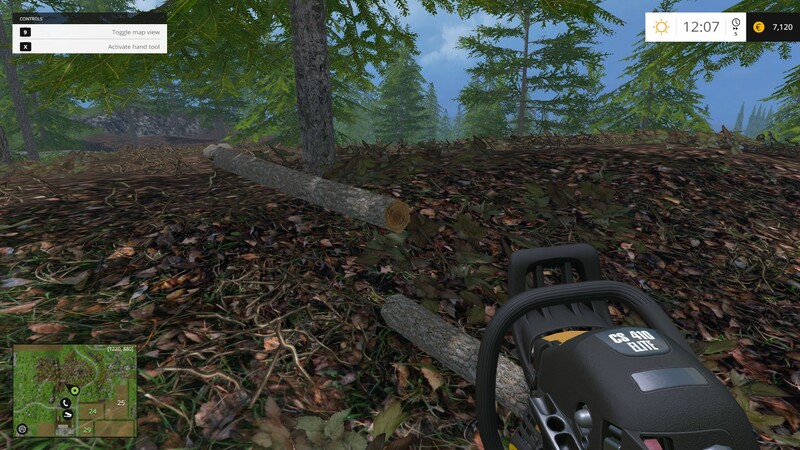 You can now be a lumberjack, too, and that idea ... it’s something, alright. In fact, considering it is a rather late game addition, it serves as a break at the later stages by extending the amount of time it takes for you to master the complete map. 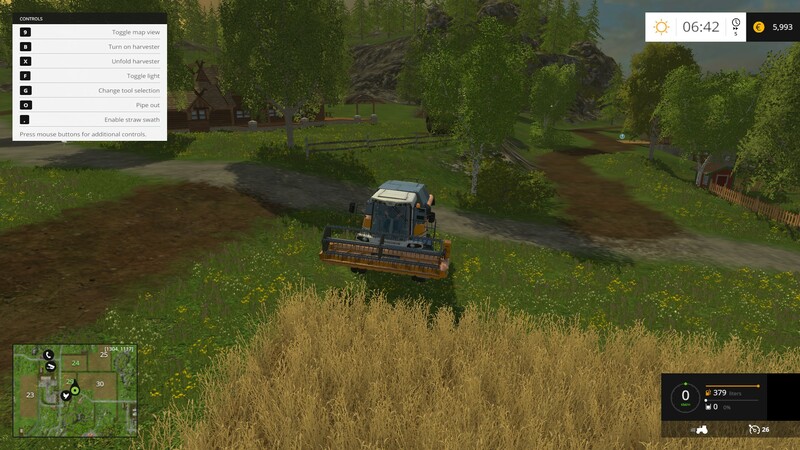 Play Farming Simulator for some time and you’ll realize that after having a well-oiled machine on a couple of fields, your progression speeds up faster as you can acquire new lands. 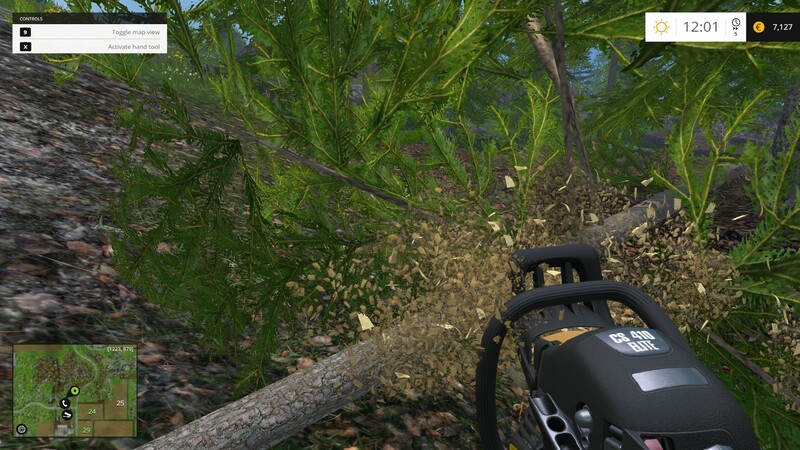 Giving you a few trees to chop down, after laying down some big cash, that is, serves as a nice little interlude. Ultimately, however, it is nothing special. You go through the motions and make money. There is absolutely no purpose behind it, other than the one you make for yourself. Yet, that said, before you know it, you’ll have an extensive inventory of tractors, fields beyond count and more chickens than you’d care about. It just happens that as you play and acquire more stuff, the game begins to draw you into itself. There is always something that can be done more efficiently or something to buy that will make your life just a bit easier. And once you have those things, you’ll start thinking about buying equipment to harvest different crops, gather hay or chop down trees. All this will cost you that hard earned dosh that took you hours to make. In the end, was it worth all that time you spent plowing, cultivating, seeding, spraying and harvesting? I’d say yes. 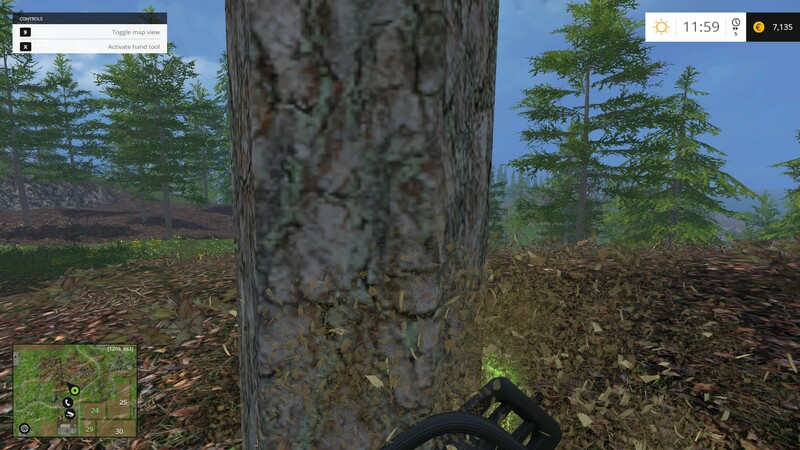 Captivating: Bizarre yet true – FarmSim draws you in if you let it. 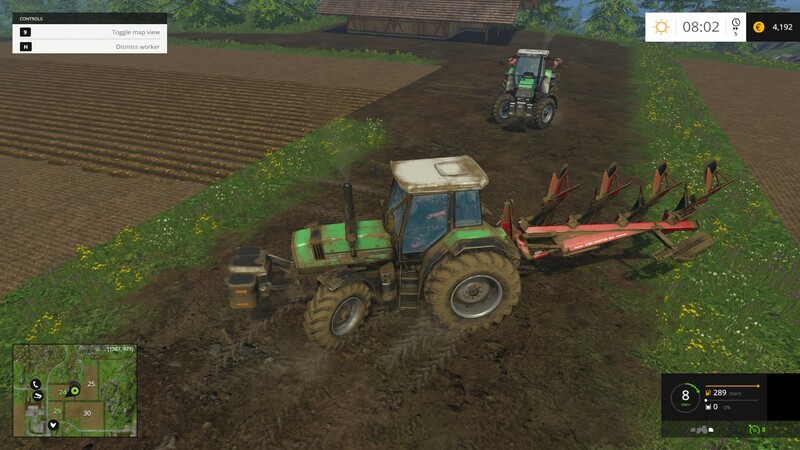 Multiplayer: As always, allows you to be uber-efficient farmers. No innovation: Sticks to its formula and, overall, Lumberjacking doesn’t add much. Non-action formula will not find fans everywhere. Mod support: Could be way better via, for example, Steam Workshop. 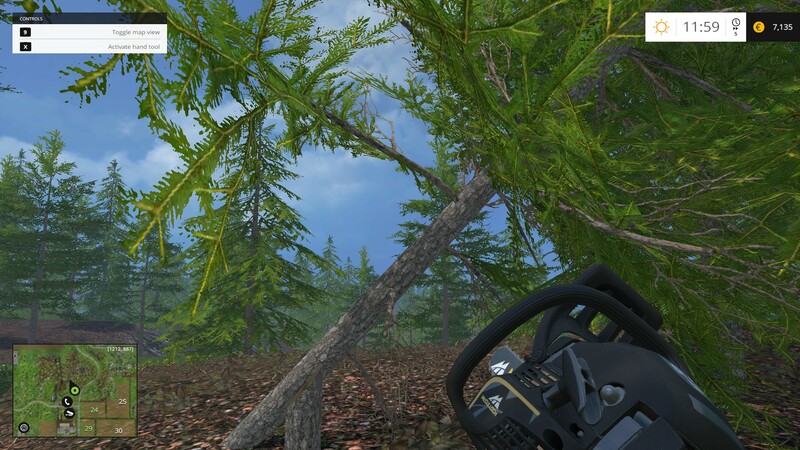 Farm Sim 15 shows little innovation but remains captivating as always. So, this is a thing — again — and it’s, actually, pretty darn good. Visually? Noteworthy. 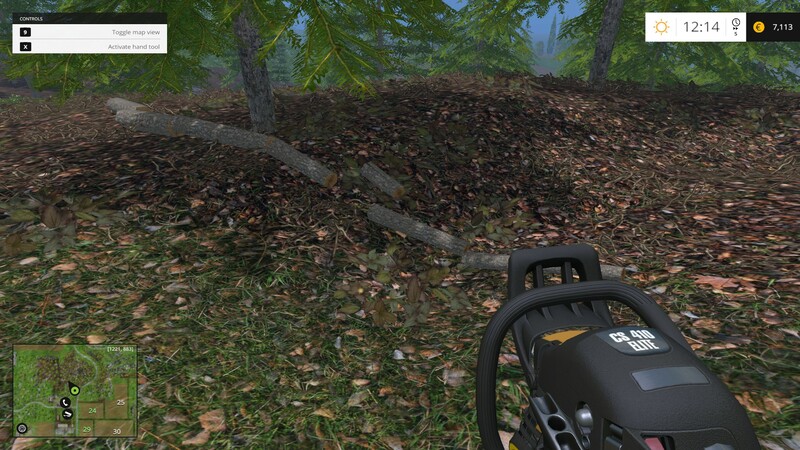 Certainly not a graphical benchmark, but it is surprisingly well detailed and animated. No shoddy, cheap-and-cheerful, half-assed ‘90s graphics here. However, it wouldn’t have made much difference if it were, as the real focus is on, as the name suggests, farming — but not just the simple parts of using machinery and feeding cattle. 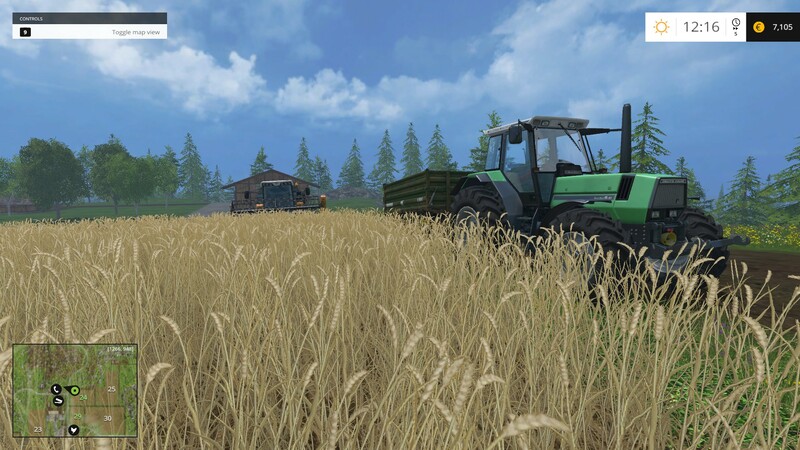 True to its name, it is a genuine, extremely deep and detailed simulation of managing a farm. Everything from hiring staff, buying equipment and managing your animals to sowing seeds, harvesting grain and standing in the chicken coop laughing at how noisy the chickens are. It’s an odd one to pin down. On the one hand, it’s a very detailed and functionally quite fascinating management game that just happens to be based around farming. I can certainly see, and appreciate, the appeal. But on the other hand, one cannot help but wonder why it needs to exist. It seems controversial to say, but there’s just something about Germans that ... I don’t know. They just seem to like coming home from work to relax by ... playing a game that simulates working. Which is weird, really, really weird. 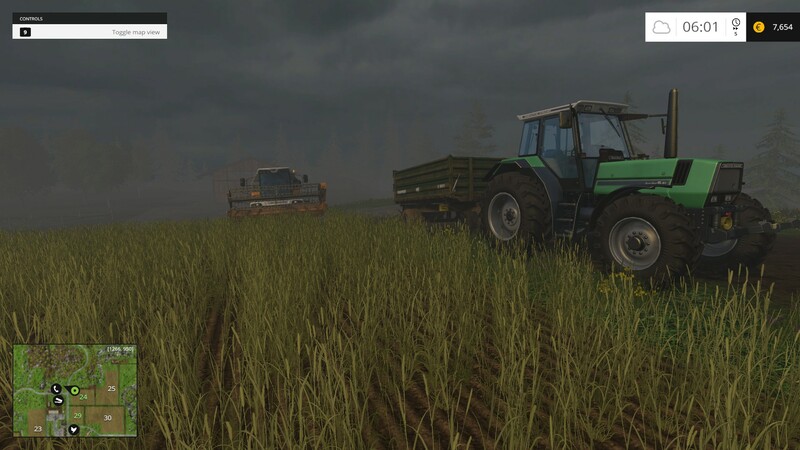 For what it is, the game is most definitely worth playing; even if you have no interest in farming at all, it functions and runs smoothly and does offer oddly compelling, and engaging, gameplay. But it’s just ... why? Why does this need to exist? I’m glad, in a way, that it does. But ... why? 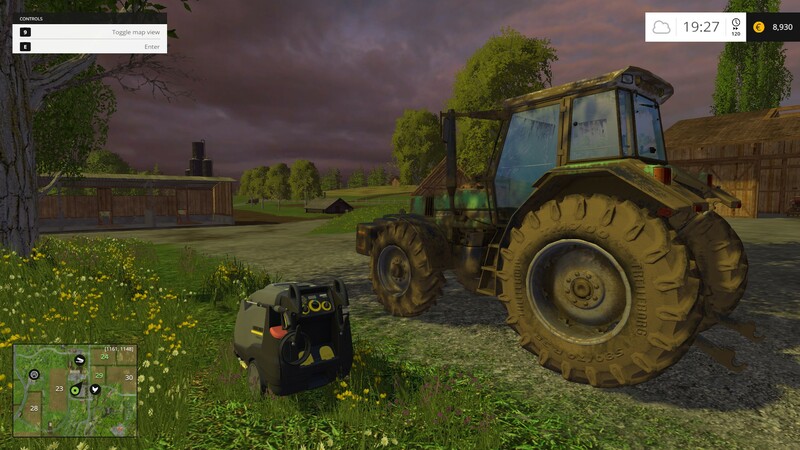 Farming Simulator is one of those games that are really tricky to review because it’s not for everyone. 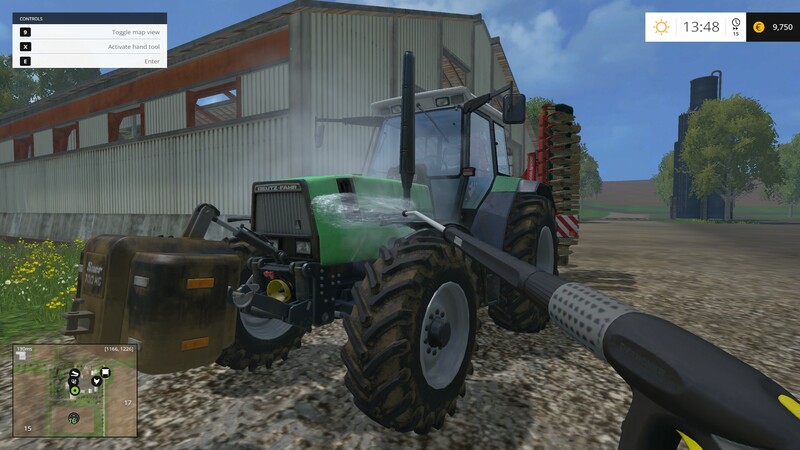 Ultimately the idea of a realistic farming simulator sounds like something people would hate. But at the end of the day, it’s not meant for everyone. It’s kind of hard to tell how realistic it is as well. I’m not a farmer, I’ve never worked on a farm. 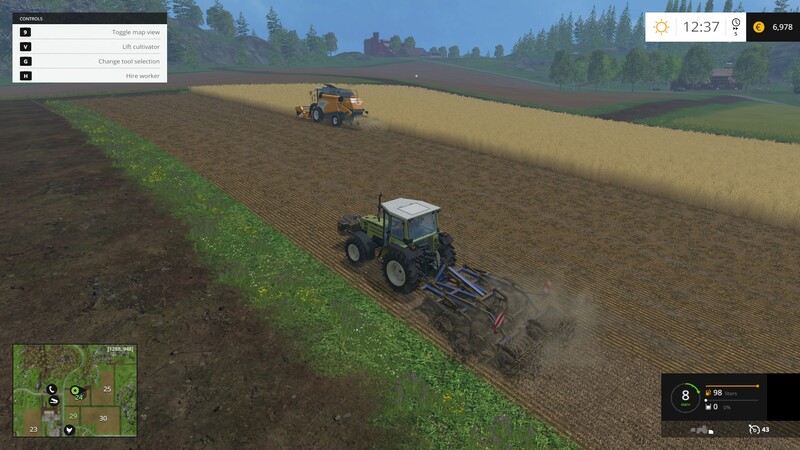 Even if I was, spending the day farming then coming home to simulate farming on my computer doesn't seem like something to do. 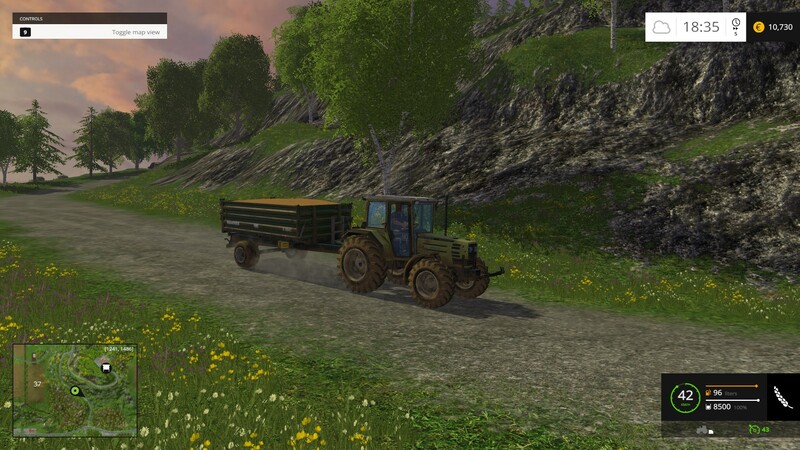 So, I can’t really tell you how realistically the tractors handle, or how close to actual farming it is. What I can tell you: It's incredibly boring. Boring, so boring. Drive over here, do this, drive over here, do that. Nothing challenging for your mind or body. Just zone out and do everything step by step. It makes me wonder why these franchises are so successful. Who are the audience? Robots? Data-entry workers who one day dream of becoming a manual laborer. Do these even have an audience? Or perhaps there really is an audience who enjoy zoning out and doing what other people do for a living, except in restrictive games. I mean riding a tractor off a small hill for a bit of airtime is about the extent of any sort of fun you can have, and that’s only fun for like 3 times at most. Damnit dude, no screenshots of chickens? !